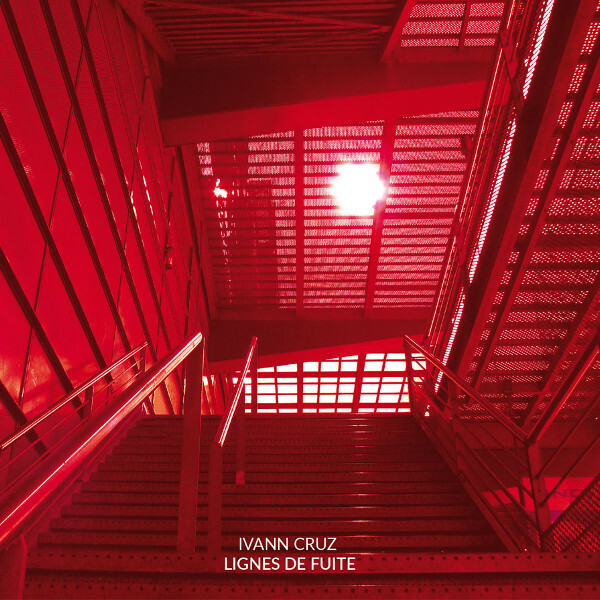 French guitarist Ivann Cruz has played with a number of jazz and new music ensembles, including the Circum Grand Orchestra and TOC, among many others. Here, on his solo Lignes de Fuite, Cruz presents a more personal side of his sound via four improvisations and one acoustic solo miniature in the album’s title track. Several of the pieces feature spoken voices while Cruz cooks up an astonishing brew of industrial-strength textures and a pedal-effected cauldron of swirling sounds, buzzing and wailing from the near to distant while the voices echo in a strange chaotic standoff, a sound that might be somewhat reminiscent of the recent works of Richard Pinhas. The opener, “L’Obsur Aliment des Signes,” and “Quantophrénie” are two improvisational pieces featuring programming by Olivier Lautem and Loic Reboursière. The voices on the latter filter in and out at varying speeds while the guitar creates subtly menacing sounds around them in repeating loops of melodic color and growling bursts of thunderous noise. On “Etat d’Urgence” Cruz is joined by drummer Peter Orins, where the sounds of percussion are often looped and otherwise tape-manipulated in real time, along with live drums, while distorted guitar loops screech, twist, and groan over the growing chaotic maelstrom, slowly finding gentle repose as the end approaches. The acoustic title track is the odd piece in the bunch, offering an emotional and introspective view into Cruz’ musical soul. Closer “Attente Précaire” again features Orins, but this time it’s a far more measured piece, as controlled bursts of looped guitar-generated electronic sounds are punctuated with very subtle percussion, often pushed through effects as well. It’s the most understated piece on the entire disc and a complete polar opposite from all the pieces that preceed it. All taken, Ligne de Fuite is a unique statement that pushes the boundaries and demands repeat listens.